It's Silly Willy the love dish, Horny thru and thru, Your tongue's on fire you're date's turn on, Awe ee ooh ooh! That silly willy gets all over the place! Feed it spicy food and watch it zoom around the room like a monkey on a meth/Viagra cocktail. Shenanigans shall ensue and it will get messy! But isn’t that why you make ridiculous culinary creations? You best inspire a fever-pitch amount of naked naughtiness with your vittles or surrender your libido. Seriously. 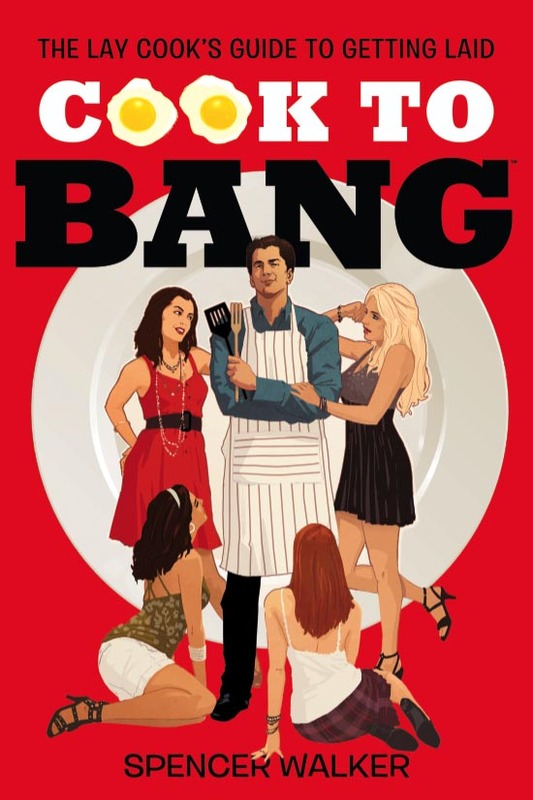 Welcome to advanced Cook To Bang! This recipe is not for the microwave dinner daters. 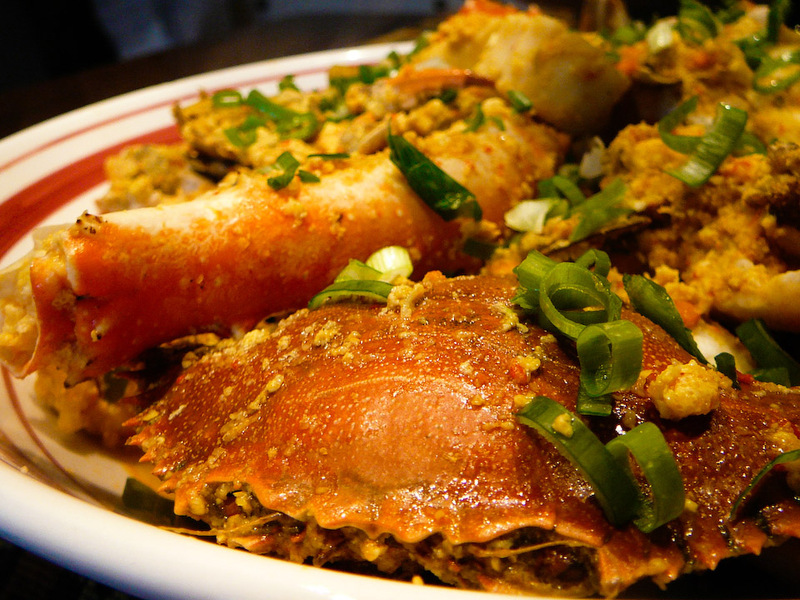 My uncle’s Indonesian wife Frida taught me this chili crab recipe/love potion cooked by men the night they propose to their future wives. The thought behind this is only a crazy woman lacking taste buds and common decency could turn you down after consuming food this awe-inspiring. I’m not saying Cook To Propose (although this would be a worthy dish), but expect you will own the night. 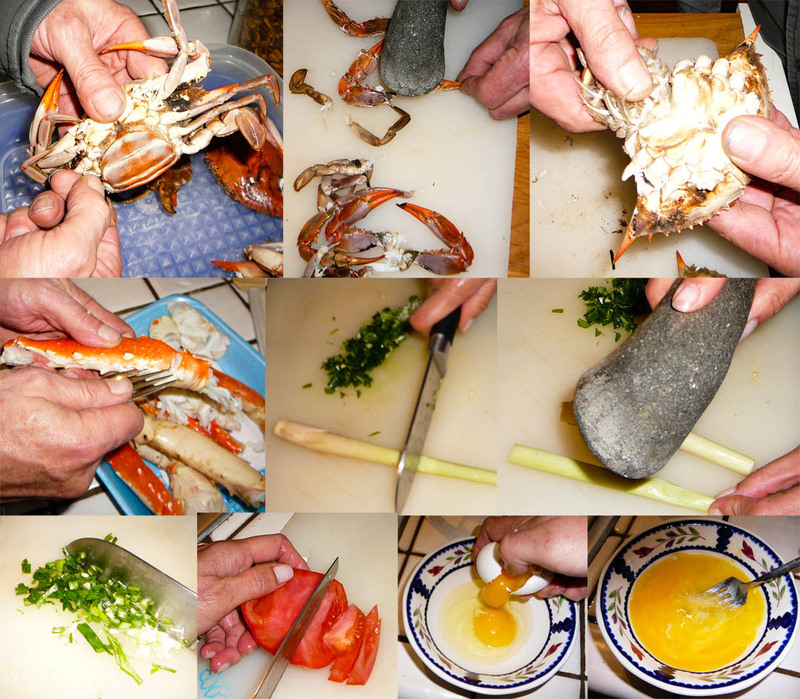 Pull apart the blue/Dungeness crabs: break off legs and smash them, pull apart the body, removing the feather like gills. Use a fork to break open one side of the crab legs. Cut the lemongrass stalks into smaller pieces and smash. Chop the green onions finely. Slice the tomato thinly. Crack open the eggs and beat them. Create the chili sauce base by blending together the garlic, shallots, red chilies, peeled ginger, candle nuts, white pepper, salt, and olive oil. On medium heat, scoop the chili sauce into a large pan or wok. Season with turmeric and lemongrass. Scoop in the broken up crab bits, add a cup of water, the tomatoes, and lime leaves. Cook covered (approx 10 min). 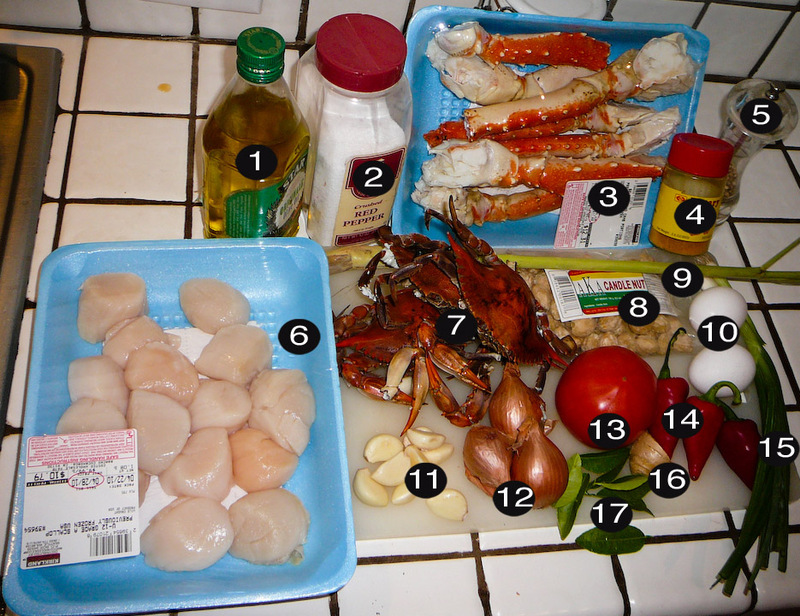 Add the scallops, crab legs, 1/2 cup water, salt, and eggs. Cook through while covered (approx 5 min). Move to a serving platter and garnish with green onions.